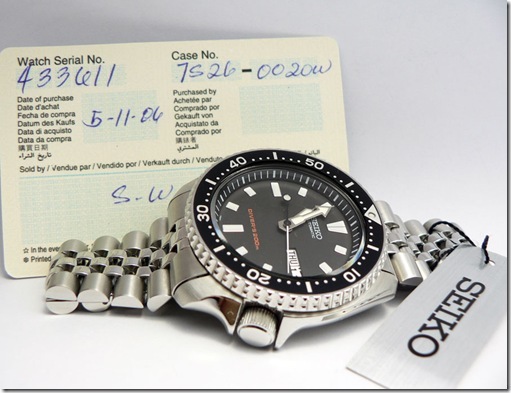 A couple of years ago, someone proudly posted his proud acquisition on SCWF – a strange looking 7s26-0020 diver’s watch that none of the forum members had ever seen. 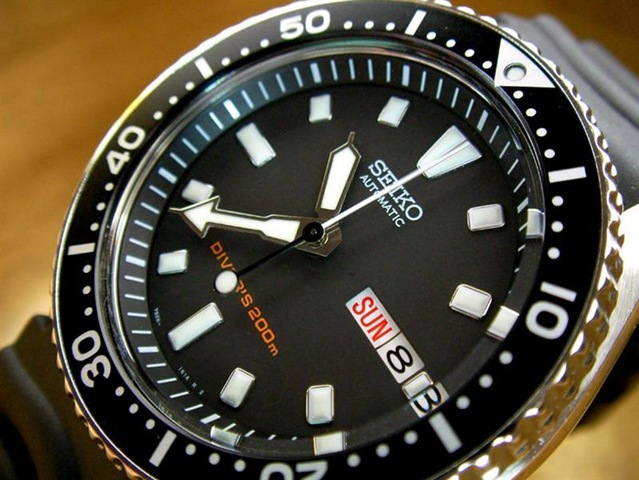 Nobody was able to identify the odd model from Seiko and a few suggested that it may be a fake Seiko watch. I scrutinized the photos carefully and couldn’t put my finger on it. Appearance-wise, it looked like the garden variety SKX173 model for North America – except that there were differences enough to suggest that it wasn’t a SKX173 at all. 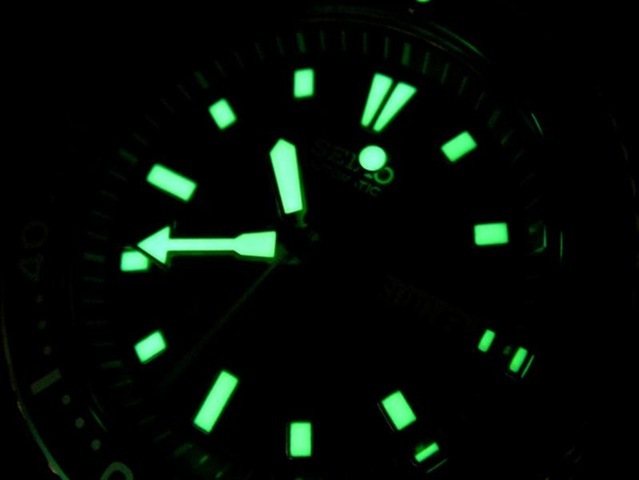 The second hand was indisputably borrowed from the SKX007K model as the lumed dot (or some call it “meatball") was on the opposite end of the hand. It was as though this model was a “Franken Seiko", i.e. cobbled out of parts from different Seiko models. I still kept the photos downloaded from the post and decided to take another look at them. What model was this watch, exactly? It wasn’t even referenced in Kevin Chan’s Seiko Diver’s Reference – the well known, de facto Seiko diver photo repository. There was something strangely familiar about the design of the watch dial – it’s like I’ve seen it before, but where? Where does this watch fit in? Before we delve further into the subject matter, we need to make direct comparisons this mystery watch with what we already know – the SKX173 and the very commonly found SKX007K. Top: The mysterious 7s26-0020 vs another well-known 7s26-0020, the SKX007K. As we can see, the only the only similarities between the two are the black rotating bezel insert and the hands. The dial on the watch on the left has square hour markers while the SKX007K’s have round and ellipsoid index markers. The 12 o’clock index shapes are also vastly different. 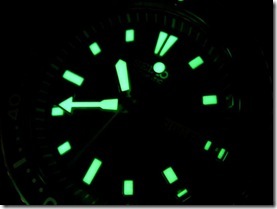 At the surface, our mystery guest seems to be an SKX173 diver gone wrong!  Did someone at the factory inadvertently switch the wrong parts for this oddball piece? OK, now let’s take a look at the same watch versus the North American model. 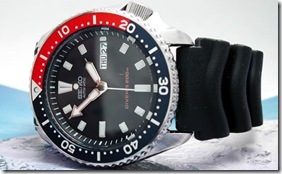 Top: Compared with the 7s26-0028/9, the SKX173 for the North American market. Nope, doesn’t match 100%. As you can see, the cryptic watch appears to be a combination of the SKX173 and the SKX007K. I would have believed that, except for one thing. The dial is very unlike the SKX173 despite both designs having rectangular markers. I figured out that it had to be some short-lived model that not many people knew about. The mystery was solved at last! I remembered that there was one particular SKX diver that was considered rare as hen’s teeth and only a handful of photos were available. It was the SKX401K with the Pepsi-colored rotating bezel. It struck me that the V-shaped 12 o’clock marker looked very close to the SKX401K’s, so I decided to compare this watch with it. As you can see, except for the bezel insert color, all aspects of both watches are similar. The dial of the mystery watch matches the SKX401K’s to a tee. Likewise, the hands are also of the same design with each other. Here are more pics of the rare SKX401K. It’s so rare that if you were to put up one for sale in the watch sales forums, I guarantee that your watch would be booked by eager buyers within minutes!  In fact, one regular SCWF forum member used to persistently put up a WTB (Want-To-Buy) ad in the trade forum for the SKX401K for months. I don’t know whether he finally got one though. Top: Two breathtaking shots of the SKX401K. Pics courtesy of Chris Moy. Since the unknown watch was very much related to the SKX401K, it had to be a model that’s numerically close to the SKX401K. I looked for some reference numbers in the Seiko database and I finally nailed it. The mystery watch was the rarely heard-of SKX399K. 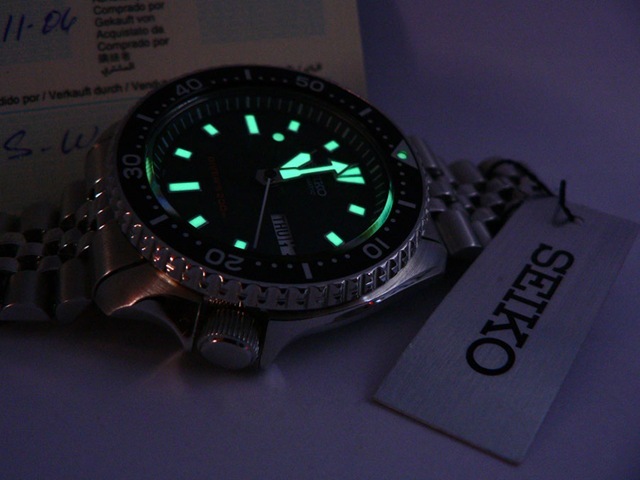 Let’s take at some pics of the SKX399K as submitted by the owner (sorry, I cannot remember his name). From a distance, it sure looks like the North American model, SKX173 diver. But it’s not. 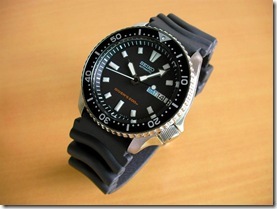 Dimensions-wise, it is similar to the ubiquitous SKX007K or J model, nothing more and nothing less. Above: Additional photos of the SKX399K. This watch was a March 2004 production. Incidentally, the SKX399K has a dark grey-black dial with a dial part number of 1614XB13 while the SKX401K’s deep navy blue dial has a different part number – 1614XL13. Where were the SKX399K and SKX401K models marketed? The Japan domestic market. JDM models always have a 4-letter prefix with no “K" or “J" as the suffix. The North American market. If they were, the dials and caseback should show the country of origin as per US FCC regulations. 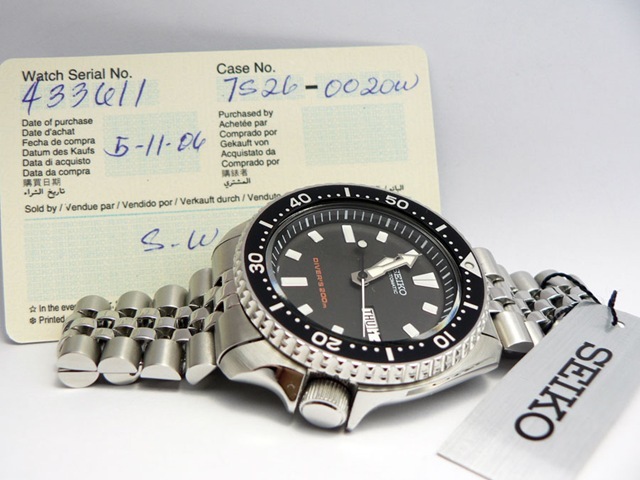 Also, North American SKX divers have the caseback designation 7s26-0028 or 7s26-0029, not 7s26-0020. The Middle East market (like the SKX007J/011J). These watches are designated as “K" models and don’t have “Made in Japan" printed on the dials. I doubt these were exported to the Arab speaking countries. A close up pic of the SKX399K with the warranty card. Photo by the watch owner. It’s unclear why the seller marked the caseback as “7s26-0020w" because no such caseback number exists according to Seiko’s caseback naming convention. It could have been an error made by the seller. This watch is definitely a 7s26-0020 and no doubt about it. A big round of thanks goes to my good friend James Tan from Singapore, who happens to be another proud owner of this uber rare Seiko diver. He took the trouble to submit fresh photos of this this lovely watch just for Quartzimodo’s Time Journal! According to him, he purchased this watch from someone in the Philippines. Without additional supporting data, it’s too premature to deduce that the SKX399K (and the Pepsi-bezel SKX401K) were confined to the Philippines market. Above: James’ watch comes with the factory fitted Z22 polyurethane strap. The blue protective sticker is still intact, suggesting that he very seldom wears this watch or doesn’t wear it at all. Above: A direct, side-by-side comparison with the Japan-made, SKX009J (left). You can see how the framed rectangular index markers makes it appear slightly dressier than the SKX009. Above: James’ trademark “wok" (Asian deep frying pan) shots lend a very unique background to these stellar quality photo shots. Note how the index markers glow like in the lume photo on the top right. Why were these models unheard of before? The answer to that question is simple. They were simply not produced in enough quantities to go around. 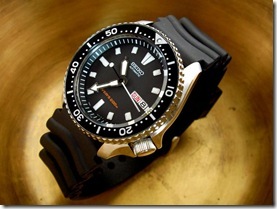 However, it’s unclear as to why Seiko made very few pieces of the SKX399K and SKX401K. 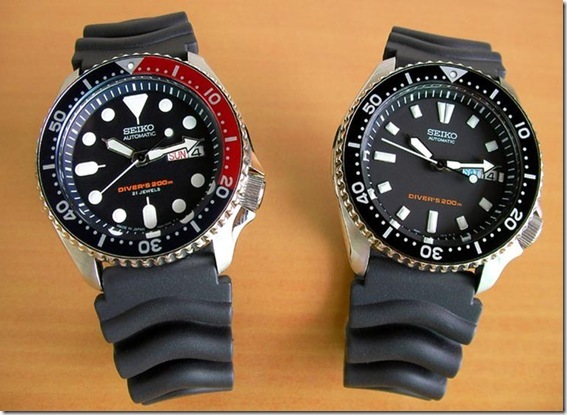 Perhaps Seiko was trying them out to see how they fared against the extremely popular SKX007/SKX009K. Or, it was specially made for a specific Southeast Asian market for a very limited period of time. Not much is known about these two very hard-to-find 7s26-0020 divers. Suffice to say, both the SKX399K and SKX401K are rare as hen’s teeth. I have no idea when they first appeared in the market, but I’ve seen photos of the SKX401K as early as 2004. What would be a reasonable price for these hard to find models? 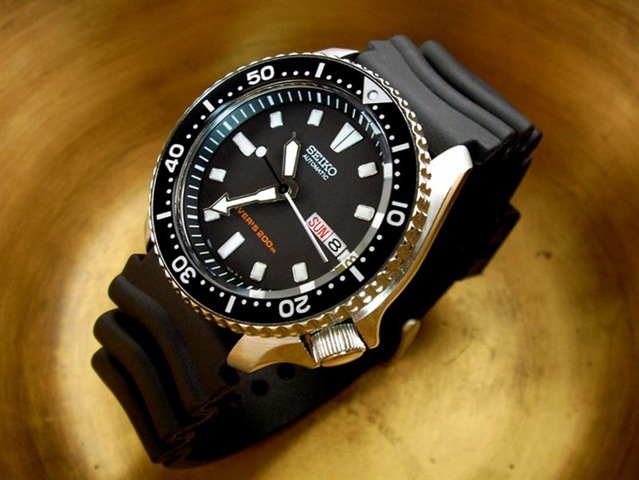 How much more than a usual SEIKO divers MSRP price would be acceptable increase 10%, 20% more? Just in case I find one online or in shops. However, if a seasoned collector is willing to selling one from his collection, expect a premium of 40% or more over its original price paid, given the super rare status of the SKX399K/401K. 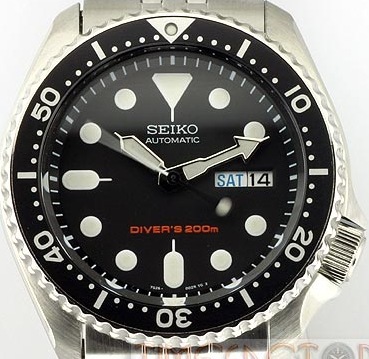 A cheaper alternative is to buy the replacement dial from a Seiko service center (if they allow you to buy this dial) and to swap it with the one from an SKX007K. Update: It seems that this model was sold in the Philippines (thanks to Gerrylb who lives there). Thanks, this is a big help, at least I know if I’m getting ripped off or not. Will let you know if I come across some. I could choose either the SKX173 or the eye-catching yellow dial, SKXA35, so I went for the latter. I’ve too many black dialed divers as it is. I have the opportunity to buy this watch from a local seller here in the Philippines. Does it look legit to you? Thanks for any info! Yes, it looks authentic to me. Seems like that the rare SKX399K/401K were made for the Philippines market (this is the third time I’ve heard this model is available in the Philippines) for some reason. How much do these watches cost over there? If the deal pushes through, it’ll cost the equivalent of around US$85 pre-owned. Seller says he got it for US$180 brand new a couple of years ago. Looks to be in pretty good shape. Hope I can close the deal. Thanks so much for the advice! 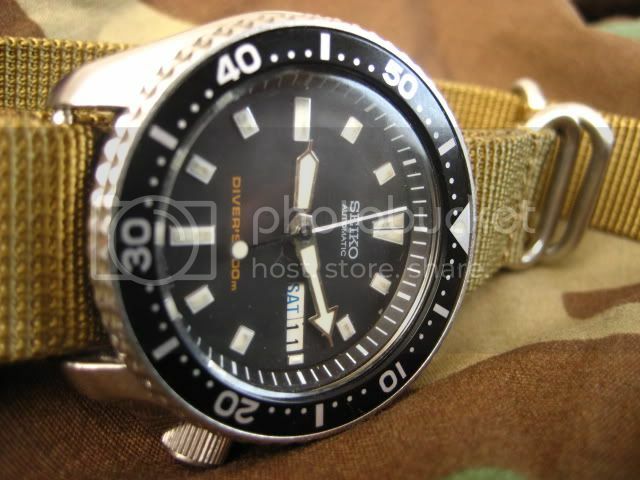 That sounds like a real bargain to me for a rare 7s26-0020 diver (rare for the rest of us living outside the Philippines, that is). Nabbed the watch this morning! What’s more, I found the same model NOS at a small watch store in downtown Manila. If it had been the 401k I’d have grabbed it. Thanks for your advice Quartzimodo, if you’re ever in the Philippines drop me an email. Good for you, Gerry! Now I’m more convinced that it’s a model specific to the Philippines market and I have no idea why Seiko chose the SKX399K/401K for the Filipino market. I posted a few pics in Watchuseek forum. I posted a link to your site in the thread last week. Hope you don’t mind. No problem. Isthmus is a friend of mine and I know he’s a mod at WUS. I can always track referrer links to my blog and I’ve already seen your post, lol.  . All the images in my blog are public domain (including my own watch images), except for the content (text) – which is of my own work. Thanks for posting the link to my article, appreciate it.  Now – look for the hard-to-find SKX401K diligently… after all, perseverance pays off! Looking to purchase the following watch off the bay & am a little confused as to what it is. Seller says the numbers are 7S26-0028. The watch in question is an SKX173 diver (not SKX173K), specially made for the U.S and Canada market. It should not to be confused with the SKX399, which is a different design although both look very much alike. “7s26-0028” means the movement is a recent 7s26B caliber from Malaysia and then the watch was assembled in China. Thanks for your great BLOG REVIEW. I was lucky enough to see one BRAND NEW at my LOCAL AD display window and I’ll be going back tomorrow to pull the trigger. I just wanted to visit your blog one more time to see if I did have the correct model in my sights(yup, everything checks out). I snuck a picture with my phone cam while I was there- I’ll take more pics when I bring her home. Oh yeah, I am from the Philippines as well. I guess we can definitely say that the Philippines was one of the (if not THE) target countries for this limited run. Thanks for your inputs. I’m now convinced that the SKX399K/401K were specially made for the Philippines market. At this point in time it’s uncertain why only the Philippines is lucky enough to get these rare models. Kevin Chan’s diver’s reference site made no mention of the market it was for and for a long time not much is known about this diver. How many PhP or US Dollars do one of these watches fetch over there? Its currently on sale for PhP 6,339.00. I believe the original price was somewhere in the 10k region. I wasn’t able to return to the mall today, but i’ll definitely go there tomorrow. Will send you more pics and details as soon as I land this baby. Looking at pics of your watch, I think it could be a Dec 2007 production. The rubber strap, bezel and the case shows no signs of aging. 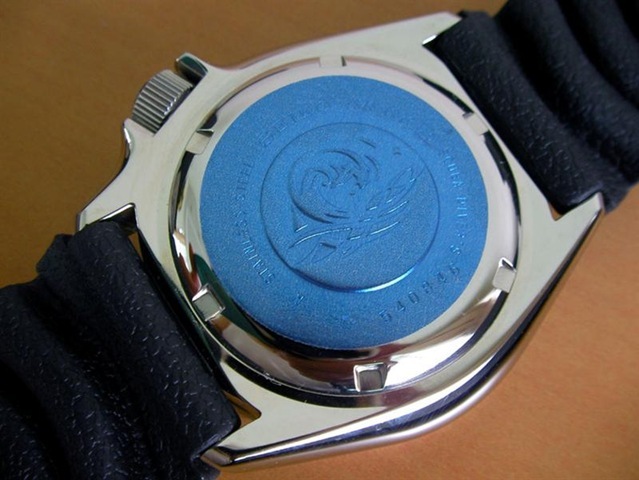 If it were truly NOS, the blue sticker’s adhesive on the caseback would have glued itself. Warranty card and owner’s manual have not yellowed due to age either. The only way you can determine this for sure is to open the caseback and look at the rotor. If it says 7s26B on the rotor, then it’s a Dec 2007 production without doubt. I still don’t have a case back opener(its on it’s way) so until I visit the AD again, I guess its safe to assume that 2007 would be this watch’s production year. By the way, would it be possible to guess-timate this models total production run if we use the known serial numbers of this watch model as an indicator? If not the total production run numbers, we can at least figure out the time period that this particular model was produced. They’re not that easy to find over here in Davao or even in Manila, but if you look hard enough- you can get lucky. I’ve scouted a couple more units in smaller shops and I can probably see their serial numbers if I get around to visiting them again. We can ask Gerry in Manila to do the same if he can. Plus you can also ask your other readers to do the same if the care to help out. Yes, the other divers such as the SKX007/009Ks are also sold alongside the SKX399ks in local shops. We haven’t seen the 401K yet though. As a matter of fact, pepsi bezels in general are outnumbered here. Seems like most Filipinos prefer their divers straight black. 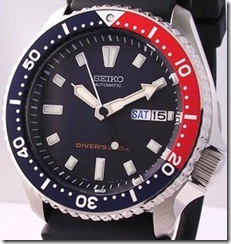 Was very interesting as I think I have a Seiko Divers Watch … but now I’m not sure if it is a fake or not. It looks exactly the same as the SKX009J but with an orange face and a black surround of the SKX009. I’ve been using it for diving for about 5 years now. Could it be a fake? .. as it was a present to a freind who did not dive so I bought it off him new. I think your watch may be an SKX009K with its dial modified to the orange one from the SKX011J. Which explains why the chapter ring is black (for the SKX009 it’s actually very dark navy blue, not black) and I should think your watch hands are silver while the bezel insert is a blue/red combo (often referred to as “Pepsi”). Should you need any help in verifying your watch’s authenticity, please contact me via the Contact Form and I’l be glad to oblige. I Caught one of these while riding the Mega bus from Montreal to Toronto, exact model 7s26-0020. Though i don’t think the guy was Canadian. He had a European accent. It proves me right per your research. 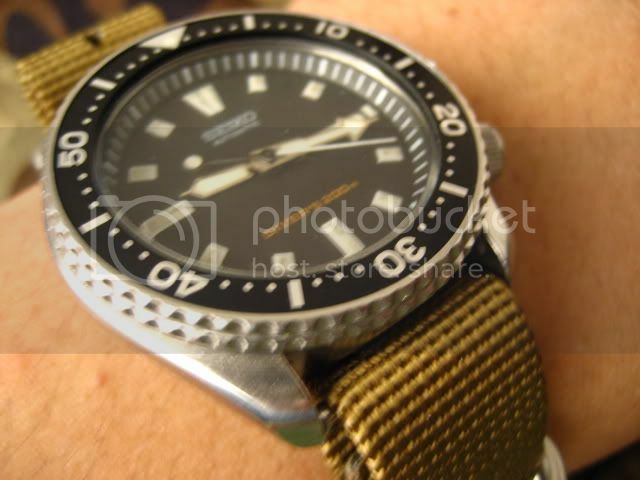 I will search for this watch…if i find one i will post some pics here…im a watch collector myself…did you know that your the one who make me interested on buying divers watch?haha..currently i bought 2 used but good conditon 7s26-0020 orange dial and a black 7002-7000…i have also a titanium seiko watch…I hope I can find this kind of watch too…. LOL, some people have said that I have been a bad influence on them that they actually searched for and bought the watches I happen to have.  Since you live in the Philippines it shouldn’t be that hard for you to find the SKX399K or SKX401K somewhere in Manila. Happy watch hunting! Salamat po for your comments! 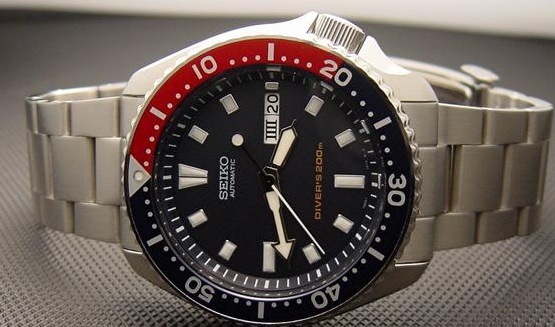 Hello, I would like to buy this watch the seiko skx399k, could someone buy it for me and ship it, thank you in advance. Hi guys and Quartzimodo admin. I live in Manila, Philippines! 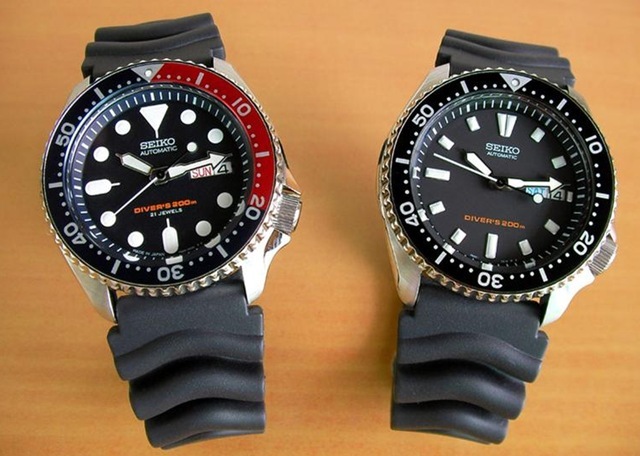 I recently purchased a Seiko divers much like the one featured above. Written on the back was 7s26 0030 scuba. It also had the same written on the dial at the south part (nearest to arm 6) and it says 7s26 0003R. It’s a nice looking watch and so I took it coz it only pegged at $51 used but in great condish. The markers though, were rounded, as opposed to the example above as rectangular, and that’s the only difference I can see with what I’ve got against the 7s26-0020, since I have the 7s26-0030. And these came with the original rubber strap. You have a rare Seiko 7s26-0030 diver if your watch is the orange faced SKX017K and to a lesser degree, the Pepsi bezel, SKX015K. 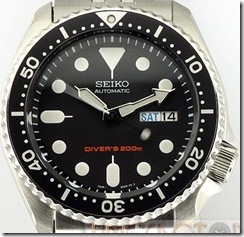 Most 7s26-0030 divers that I’ve seen for sale are the common black dialed, SKX013K. These are mid-sized divers suitable for boys or women. Most Seiko diver’s watch collectors, myself included, prefer the full sized 7s26-0020 models though. 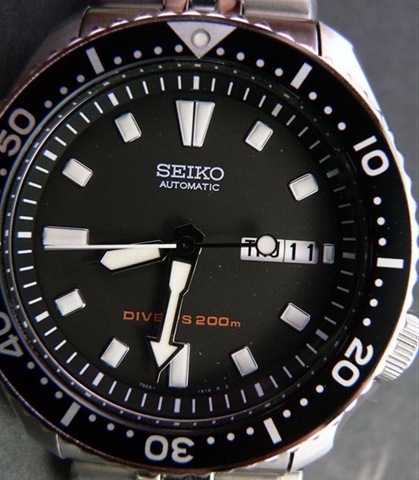 Apart from the differently styled hands, the 7s26-0030 watches have bezel markings with the 10 minute mark with a hooked “10” instead of the “straight-ten” number. The black SKX013K comes in either 20mm Jubilee bracelet or rubber strap, while the rarer orange dialed SKX017K is issued with the Z-20 Z-22 rubber strap. What I have is not orange, and not a pepsi bezel. And it’s the same size as my Orange Baby monster, so maybe this is a mid sized one. And you are spot on with the “10” on the bezel which is hooked rather than straight on the 1. And I checked the rubber strap it says Z-22. I appreciate the infos mate! Looks like I got a keeper here. I’m not much of a fan of the rubber straps so I think I’ll look for a jubilee or a nATo strap for this to suit my taste. OK, then you own the more common SKX013K then. The SKX015K and 017K are rarer versions. Yes, it is a mid-sized diver. I erred on the lug width as I had really forgotten about the 7s26-0030 divers and there aren’t many left in the stores, depending on where you live. You may want to check with William Jean’s eBay store in case you prefer the solid linked Oyster II bracelets instead of Seiko’s lower specc’ed Jubilee. Thanks Quarztimodo , your information regarding the SKX399K inspired me to hunt one down. I read in philippinewatchclub.org that the 399 is still available in SM North Edsa, Prestige store, here in Manila, Philippines. It’s very far from where I currently live. If get the chance to travel here, you know where to start. Very informative history for the SKX399K model. Made me looked around here in the Philippines. Luckily, I found one today in one of the local malls in cubao area, NOS but no more box. Thanks for the comments. The watch is worth more than the box itself, unless you’re talking about limited or Historical Edition Seiko watches. 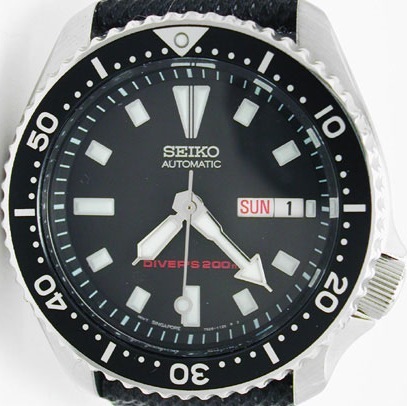 Collectors are willing to pay more if the special box that accompanies the equally special watch, but the SKX399K is one of the mass produced Seiko divers therefore not getting the box is not a big deal to me. All the non-Japan market Seikos I bought on eBay came without boxes anyway. @ryan you can easily buy original Seiko White boxes from some of the other ADs for about 100pesos each. The watch researched is my daily wear and mine is numbered as 7S26-0020. I have a Seiko SKX399K (7S26-0020) which I bought in Bacolod City, Philippines in December 2009 at Shoemart Dept.Store . I am a Filipino living in the US. I went on vacation to my hometown in the Philippines and decided to get a Seiko Divers Watch. I always wondered where this watch was made and what the model number really was. 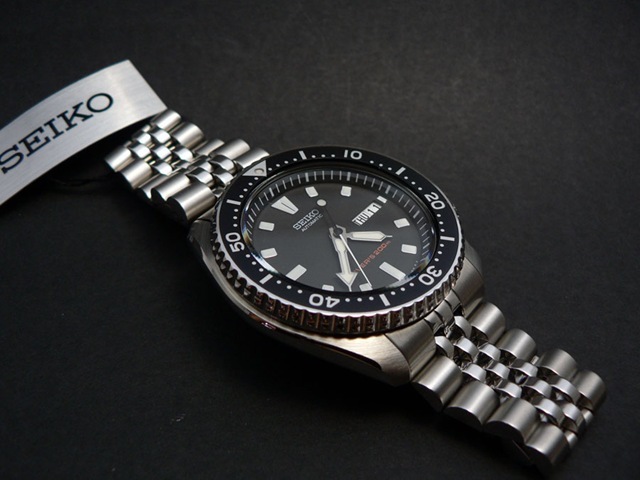 I finally decided to hunt down the model number today, typed in “SEIKO 7S26 0020” (this number appears on the back of the watch)in Google and landed on this website. 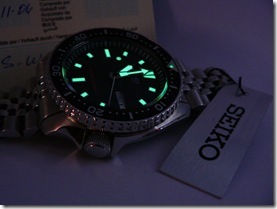 I am going to take photos of my divers watch, including case and warranty card and share it with this website. The serial number of my watch is 800655. Not sure when this was made. Nobody knows for sure when the SKX399K first debuted in the Philippines market, but photos of the harder-to-find, SKX401K (with the Pepsi bezel insert) have been around earlier than 2003. All I can say is that if your watch looks and smells brand new, it’s likely from Oct 2008. 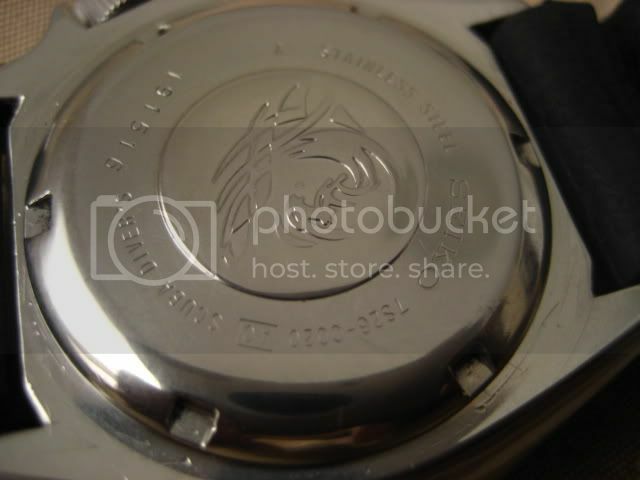 If you’re able to open up the caseback and you see “7s26B” inscribed on the oscillating weight, instead of “7s26A” it confirms that your watch is from 2008 (instead of 1998). I’ve only recently just bought a ‘399 myself and wasn’t sure of its origin until I read this article. Safe to say, I snapped it up as soon as I found out what it actually was! They seem to be incredibly rare here over in the UK. Again, great article and very informative! Nice and sweet review you did about the SKX399K. This model is indigenous to the Philippines market for some odd reason. It’s not even available in other countries in SE Asia. It’s probably like the Yellow, Blue and Red Monster divers, which were exclusive to Thailand. I have a watch that looks identical to the SKX009J. THe only difference from the one in the photo is mine is a quartz movement instead of automatic. I bought it on base in Japan in 1980. Don’t have the book for it. Is it an SKX009J or some other model? I also have another that I bought at Costco several years ago. The book says it’s a Cal. 7S26 but it has a face like the 9J. any Ideas on what model it actually might be? 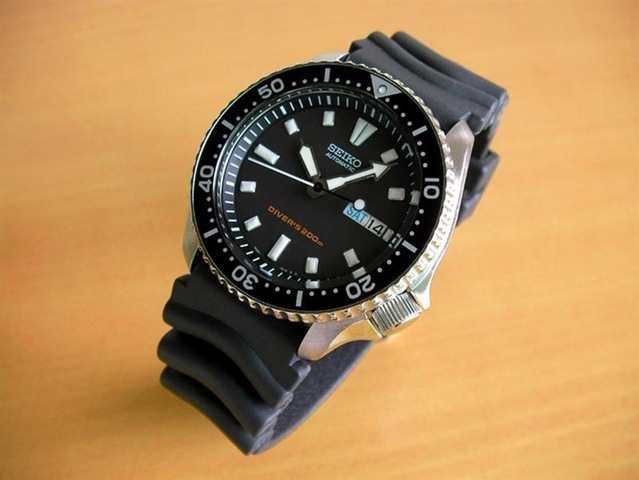 Seiko made a few quartz divers that resembled the SKX009J (or K) from the late 80s onwards. I think you had the Seiko 7548-700F, which is the closest looking model. It’s been discontinued a long time ago. The reference letters “SKX” refers exclusively to the 7s26 automatic caliber and never any other type of movements. Your watch that was purchased at Costco is likely to be the SKX009K if comes with a deep blue dial and a “Pepsi” red/blue bezel insert. The SKX009K is a good and robust watch and is one of Seiko’s best selling diver’s models since 1996, when it first was introduced. I brought SKX007K last march 2010, and i have a problem a few months ago about it because the rotating hand clock per second are to fast, i would like to ask you if there are discrepancy or it is normal? 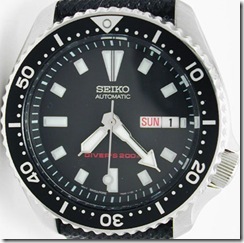 All 7s-caliber based Seiko watches are set to run fast at the factory to err on the well, fast side of timekeeping. I guess the manufacturer feels that it’s better for the wearer to show up early for an appointment than late. Furthermore, owners new to automatic watches are quick to associate a slow running watch as “defective”. If you vigorously shake your watch too frequently, doing so will also cause it to gain time. The factory specifications for the 7s26 caliber movement used in your SKX007K is no more than +40secs per day. If you notice that your watch is consistently running too fast, you’ll need to have it regulated – preferably by an experienced watch repairman. Sometimes it takes several attempts to regulate your watch for optimal accuracy. You might want to have it regulated first and monitor its accuracy for a week. If it runs too slow, it needs to be regulated again as necessary until you get something like plus or minus five seconds a day. Try to strike up an understanding with your watch repairman to have your watch monitored over three weeks to allow the regulated escapement mechanism to be fine tuned. Any experienced watchmaker should know that mechanical watches cannot be regulated to perfection on the first try. 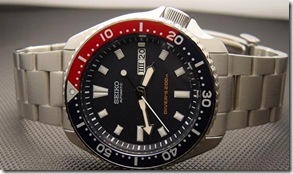 What color faces did the Seiko automatic diver’s watch come in? I have seen the black, blue, yellow, and orange. However, I recently saw a purple and a green for sale. Are these fakes or the real thing? 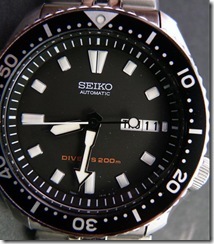 If you’re referring to the 7s26-0020 family of divers, they come only in the colors that you’ve listed above. Those with green, purple or even red dials are usually used, vintage Seiko divers with aftermarket dials, which are not manufactured by Seiko. Most of the funny colored dial watches are 6309-729x and 7002 series divers. This is because their original dials had deteriorated so badly that nobody would want to buy them. . Thanks for the information. At this point, I can avoid the after-market editions and stay four true colors! enjoy the watch in good health! I have a 7S26-0029 Black Dial Automatic, my google research shows the 21 jewel movement is a Miyota movement. It is 200mm. Made in the Philippines. I’m wondering how rare it is. Have worn it one week and it gained 1 minute. Can you offer feedback? I’ve never heard of ANY Seiko watch that uses a Miyota movement, which is a company owned by Citizen Japan. 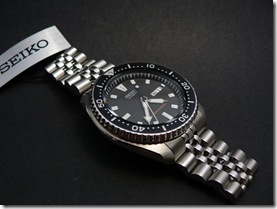 Seiko and Citizen are competitors and it does not make sense to find a Miyota-made movement in a Seiko watch. 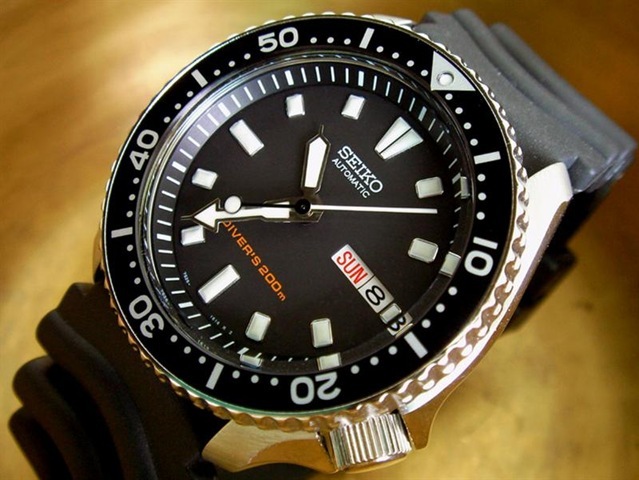 The movement may be made in the Philippines, but I haven’t heard of a Seiko factory in the Philippines. 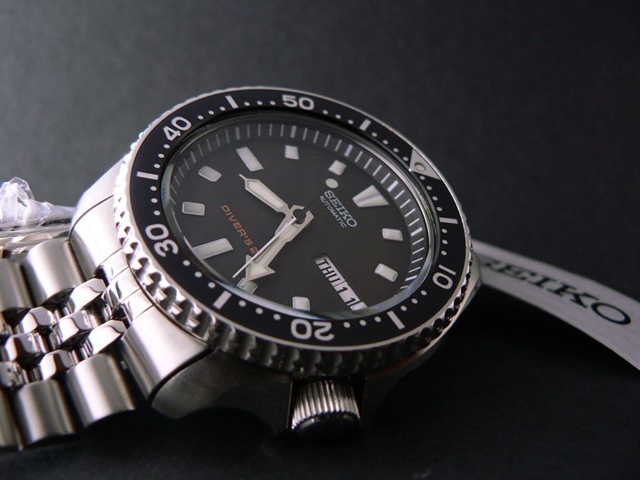 Your diver’s watch is not an original Seiko one, but more likely a Franken-Seiko (made up from different parts not original to the watch). Your seller was probably misinformed. The SKX007J is not a Japanese market model, but one that’s exported to special markets such as the Middle East, Arab nations and Singapore. Because the SKX007J was never meant for sale in Japan, some watch dealers in Japan actually import the SKX007J back into their country to cater for a niche, collector demand. The SKX399 appears to be currently available – a member of our watch board who lives there has been the middleman for four purchases in December and January – I just got mine from him on Friday – brand-new with currently dated warranty card, box, manual, hang tag. Are the 399s still considered rare? I know the 401s are never seen – even my middleman in the Philippines can’t find one of those. The SKX399K/401K are considered region or country-specific Seiko divers. 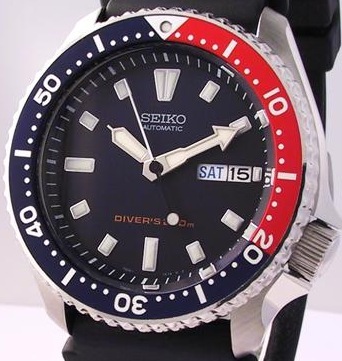 It’s native to the Philippines for reasons best known to Seiko (perhaps due to local demand), just as the Red, Blue and Yellow Monsters were exclusive to the Thailand market. Occasionally Seiko Japan gives a free reign to regional Seiko distributors to produce local versions of Seiko watches. Do you see the letters “WP” or “KG” on the caseback? If you do, it’s most probably from 2011 and not 2001. OH, and the serial number dates this watch to February 2011 – I can’t believe that it might be from February 2001 – it was just sold brand-new by a retail outlet in Quezon City just a few weeks ago. Love the dial markers. I wish they offered this watch in the states. how could one know if a 401 was original, and not a 399 with a pepsi bezel? The SKX401K has a deep, navy blue dial while the SKX399K is fitted with a very dark charcoal grey dial. It’s just like the SKX009K vs the SKX007K. 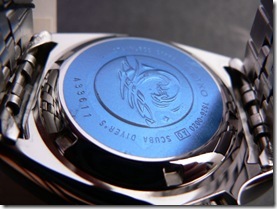 Yes, “WP” in front of “stainless steel” on the caseback. What does that signify? The guy who got these for us says that when he finds a store that has these they’re never on display – they’re in a back room. The sellers say they’re an “old model”. I wish I knew for sure but it seems that they’re recently discontinued. I suspect the watch dealers have gotten wise to the SKX399K’s rarity and they’re hoarding them, hoping to drive their prices higher as demand increases and supplies dwindle. The “WP” letters seem to have appeared on 7s26-0020 watches produced in the last two years. Its real meaning is not known outside the Seiko employee circles in the know. It could signify a production plant location, the stainless steel grade, etc.